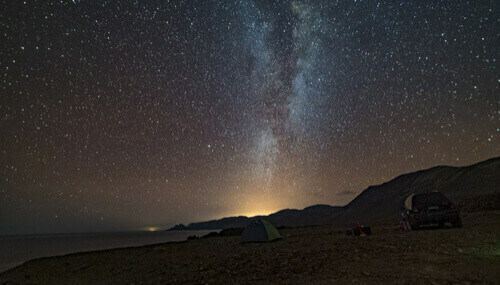 There is a reason that half of the telescopes on earth are found in Chile. The incredibly low rainfall, plentiful cloudless skies, high altitudes and the sparsely populated country (meaning that light pollution is low) allows a crystal clear window to the stars. The special climate and geography of the region have made it home to more than 50 international astronomical research centres – many of which, allow guests to visit and see the technology being used, meet the scientists making new discoveries, and take a look at the vast expanse of our universe. Dozens of observatories offer night time trips where visitors learn about the planets and constellations above our heads and from some of the most stunning deserts, icecaps and lush valleys on earth. The Atacama Desert in the north of the country sees an astonishing 360 cloudless nights a year, is the driest place on earth and is arguably the best place to star gaze anywhere in the world. San Pedro in the north of the Atacama is nicknamed Moon Valley due to its resemblance to otherworldly planets, and so it comes as no surprise that dozens of research centres, labs and observatories are based here. Ringing in at an astonishing billion dollars, the Atacama Large Millimeter Array (ALMA), is the world’s expensive ground-based telescope in operation. And nearby is the Observatory of the University of Tokyo, located at an altitude of 5,640m (18,500 ft), making it the highest astronomical observatory in the world. 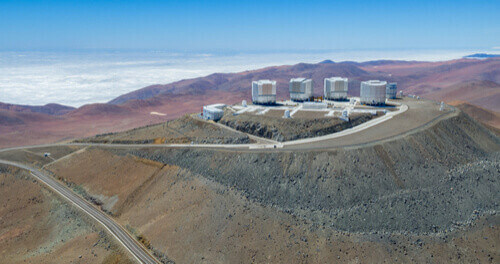 Further towards the coast at Cerro Paranal is the cleverly named ‘Very Large Telescope’ (VLT) – the world's most advanced optical instrument – made up of four main telescopes each with an 8.2m diameters. Run by the European Southern Observatory, it is open to the public on Saturday’s and Sunday’s. At the southern point of the Atacama Desert is the Elqui Valley, which runs from the high mountains inland, right down to the coastal city of La Serena. The second oldest city in the country after Santiago, La Serena is one of Chile’s most famous wine regions and is home to pisco. So make sure to enjoy a glass of wine or a pisco sour beside one of its many fantastic beaches looking out to the Pacific Ocean. 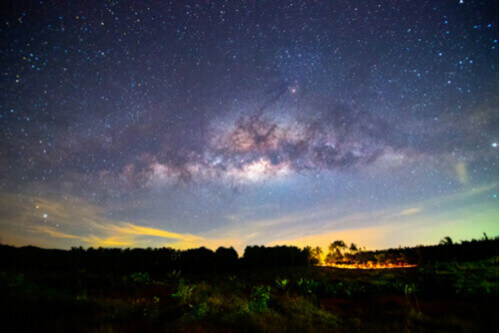 However, it is a star watchers’ paradise and nearly every hotel will have at least a telescope available for guests to use – some have their own mini observatory. On July 2nd 2019, a total solar eclipse will pass directly over the Elqui Valley making it the best place on earth to witness this once in a lifetime experience. Patagonia is one of the planet’s most mystical and beautiful landscapes. The Andes Mountain tumble down into the Pacific and Atlantic Oceans and glaciers creep towards the sea. Watching stars at Torres Del Paine National Park is second to none with the stars reflecting of the ice and the glow of the southern lights. Cajón del Maipo – the Maipo Canyon – is a lush valley in the foothills of the Andes not too far from the capital city Santiago. The snow-capped peaks and icy waters make this a fantastic overnight trip to visit one of the observatories in the region, such as the Roan Jase Observatory. There are many hotels and guesthouses along the canyon where experts teach guests about what to see with the naked eye as well as what can be seen through telescopes. 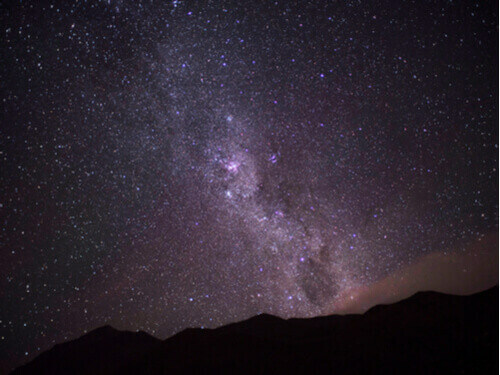 Expert-led night tours to the canyon can be arranged via the National Astronomical Observatory in the centre of Santiago. If you don’t have time to travel out to an icy glacier or to the arid deserts, then there are plenty of places near the capital of Santiago to see the mountains. The Cerro Pochoco Observatory is situated in the hills to the west of Santiago where evening workshops led by experts can be enjoyed. Like the North Star (also known as Polaris) the Southern Cross is the star system, from which explorers have navigated their way south, as they sought out new lands. Visible with the naked eye at any time of night (and night of the year) it is circumpolar meaning it is always above the horizon in the southern hemisphere. It is from this star series that sailors could find south by dropping a plumb line at the point at which the Southern Cross and the two pointer stars converge. The closest star system to our Solar System, Alpha Centauri is made up of three stars named Alpha Centauri A, B and C – although to the naked eye they look like a single star. This is the third brightest looking star from the naked eye but at 4.3 million light years from us, it is 270,000 times further away than the Earth is from the sun. Given its name after being described as 'a superb piece of fancy jewellery' by astronomer John Herschel, this cluster of stars is one of the youngest at only 14 million years old. It can easily be seen by the naked eye but looks like a single hazy star, upon looking through a telescope the bright colourful cluster of stars becomes clear. Omega Centauri is a 13 billion-year-old globular cluster that contains 10 million stars and possibly a black hole at its centre. It is visible with the naked eye and can be as bright as the moon on some dark sky nights, and looks like a speckled glow through telescopes. It was thought to be the nucleus of a dwarf galaxy.